Channel 4 News were filming yesterday at Ash Field Academy for a report about the experiences of people living with disabilities. The filming will be edited into a piece that will appear on Channel 4 News as part of the 'No Go Britain' series and will look at the lack of Changing Places toilet facilities. One of our students - Luke - wrote to Channel 4 News to explain about the pupils’ campaign for more toilets including the song the pupils have composed and recorded on the issue. 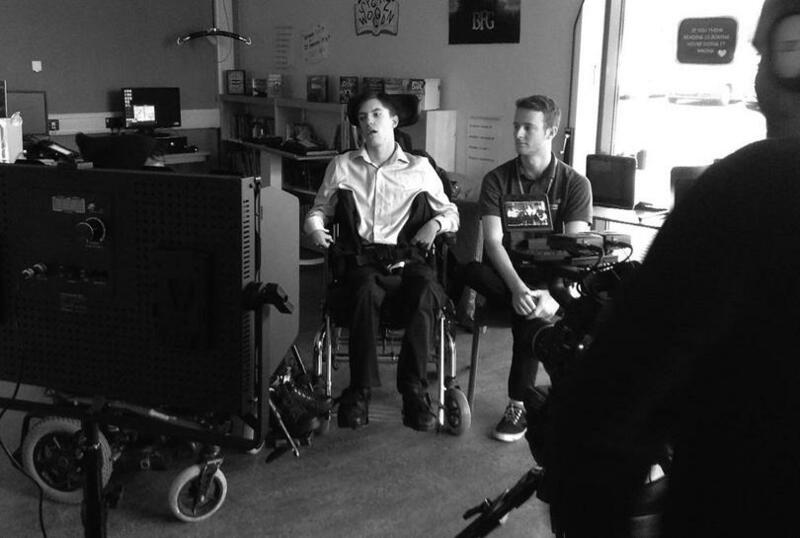 Channel 4 News interviewed Luke and recorded part of a music session with our Musicians Dan Britton and Kev Bayliss. The footage will be broadcast in December on Channel 4 News’ main evening bulletin. Needless to say that we are all extremely proud of Luke and his hard work with this important campaign!